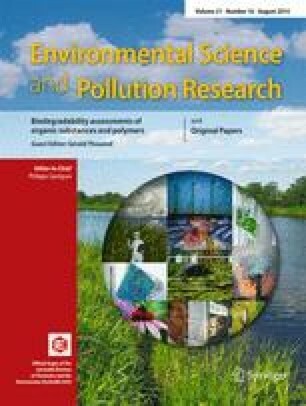 Agro-food, petroleum, textile, and leather industries generate saline wastewater with a high content of organic pollutants such as aromatic hydrocarbons, phenols, nitroaromatics, and azo dyes. Halophilic microorganisms are of increasing interest in industrial waste treatment, due to their ability to degrade hazardous substances efficiently under high salt conditions. However, their full potential remains unexplored. The isolation and identification of halophilic and halotolerant microorganisms from geographically unrelated and geologically diverse hypersaline sites supports their application in bioremediation processes. Past investigations in this field have mainly focused on the elimination of polycyclic aromatic hydrocarbons and phenols, whereas few studies have investigated N-aromatic compounds, such as nitro-substituted compounds, amines, and azo dyes, in saline wastewater. Information regarding the growth conditions and degradation mechanisms of halophilic microorganisms is also limited. In this review, we discuss recent research on the removal of organic pollutants such as organic matter, in terms of chemical oxygen demand (COD), dyes, hydrocarbons, N-aliphatic and N-aromatic compounds, and phenols, in conditions of high salinity. In addition, some proposal pathways for the degradation of aromatic compounds are presented. The present research was financially supported by the National Polytechnic Institute (Project SIP-20131865). L Castillo-Carvajal received a scholarship from the Consejo Nacional de Ciencia y Tecnología (México).